Original word problem of the day is here. Translating this problem to the equivalent math equation requires students to read one section of the problem at a time and write down the math representation as they go along. If this may sound familiar, that's because it is. 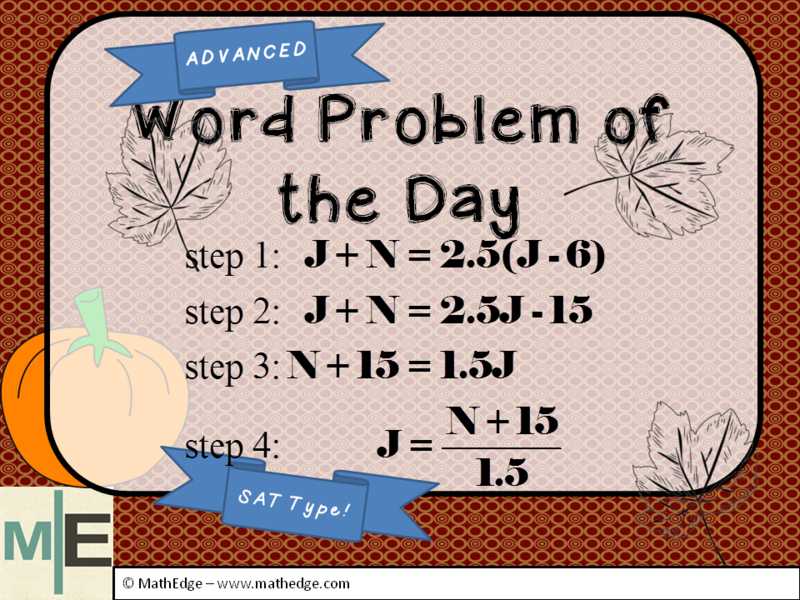 Click here to see my previous post regarding translating word problems to math equations. 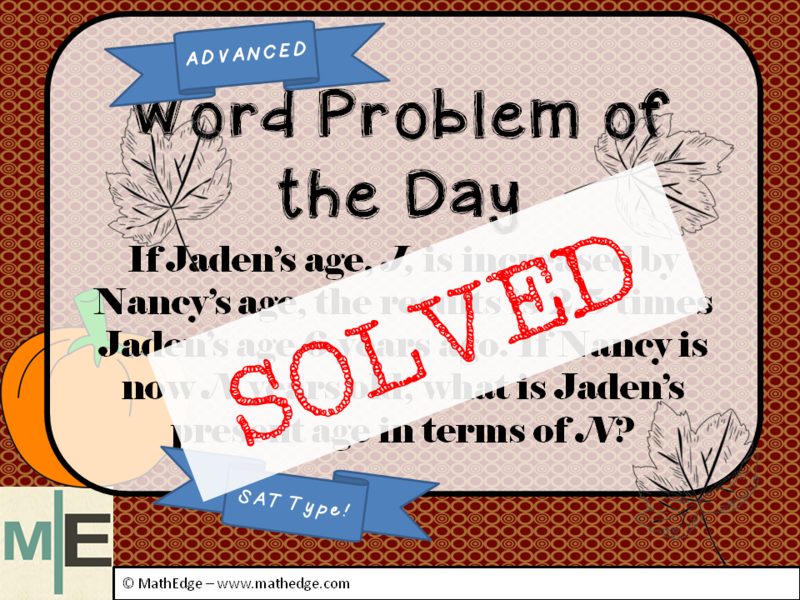 The goal of this problem is to find a math expression to represent the Jaden's age if Nancy's age is given to us. In other words, if we knew Nancy's age what is Jaden's age? There is a relationship between their ages therefore if we know one of their ages we can figure out the other's age based on the relationship between the ages that we know. The challenge is to properly interpret (or translate) the relationship that is given to us in the word problem. Let's take a closer look at this problem step by step. Step 1: This is the most important step because if is not captured correctly then the rest of the problem will not be correct. "If Jaden's age is increased by Nancy's age..."
After this information has been properly processed and understood, then they should move on with processing more information from the problem. So far so good... Let's read on to see what else is there. As I said this is the most important step because if this math equation has not been translated correctly, then the entire problem will be calculated incorrectly. We can now move on to step 2, 3 & 4 where what we are basically doing is solving the equation in step 1 for J.
wow! this is soooo insightful – the math modeling is the key! Stay up to date with MathEdge via email! Enter your email address to receive notification of our newsletters and blog posts via email. 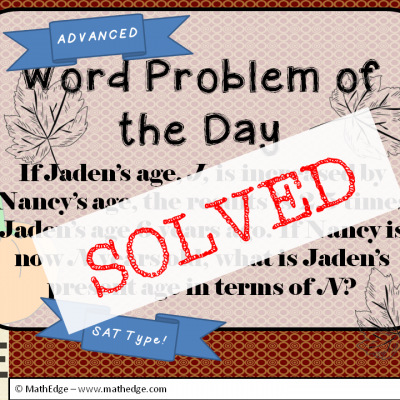 More ways to Connect with MathEdge!